An unknown white man has been arrested few days ago for allegedly using prostitutes as feed to his pet python. 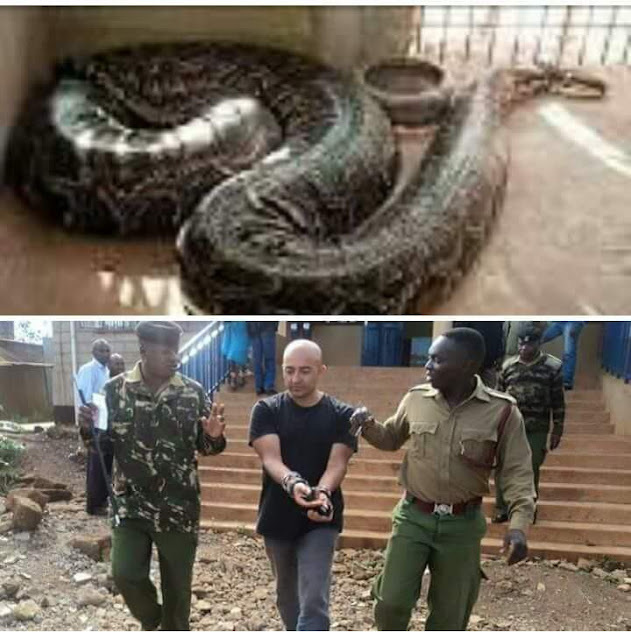 According to reports, he paid prostitutes for sexual pleasure and at the end of the day he drugs them and while sleeping he feeds them to his pet snake. After a series of disappearance of all the ladies that enters his house, due to fear the neighbors had to report to the local police in a community in Zambia. After a complain as been made against him "that all the girls who entered his apartment never came out again". However, after series of investigations he was finally arrested. We are yet to still verify the the story as investigation is still ongoing by their local Police. .